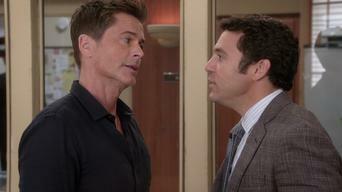 How to watch The Grinder: Season 1 (2015) on Netflix Austria! Sorry, The Grinder: Season 1 is not available on Austrian Netflix, but you can unlock it right now in Austria and start watching! 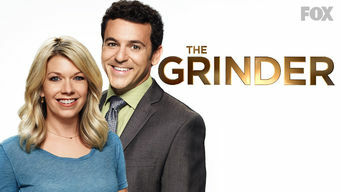 With a few simple steps you can change your Netflix region to a country like Canada and start watching Canadian Netflix, which includes The Grinder: Season 1. 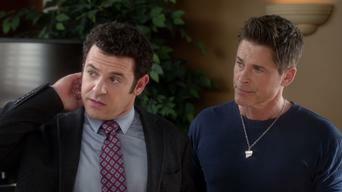 We'll keep checking Netflix Austria for The Grinder: Season 1, and this page will be updated with any changes. 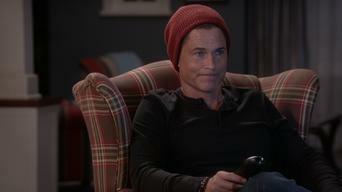 The Grinder: Season 1 is not available in Austria BUT it can be unlocked and viewed! 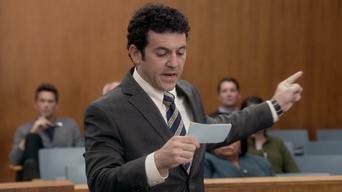 Dean Sanderson's not a lawyer; he only plays one on TV. But when his small-screen gig gets canceled, he goes to work in his family's real-life firm. Objection! Sustained! If all this legal lingo sounds good to a TV audience, it'll sound good in front of a jury, right? Season 1 of The Grinder has 22 episodes. Because different Netflix countries have different availability for episodes, you'll need to check the episode listing below to see which are available in Austria. 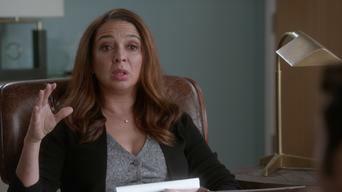 A self-obsessed TV lawyer wants to join his family's firm after his show is canceled, but his brother (a real lawyer) isn't so sure it's a good idea. After winning the Krantz case, Dean wants to tackle the next big thing. Stewart tries reverse psychology in the hopes that Dean will back off. Dean suspects Claire of spying for a rival firm and sets out to prove it to Stewart. Deb and Claire become gossip buddies, much to Stewart's dismay. Stewart and Deb suspect their new friends only like them because of Dean's celebrity. Meanwhile, Dean doesn't get why Claire isn't enamored with him. Dean thinks he may have found true love with an old flame, while Deb encourages Stewart to loosen up and let Lizzie go on a supervised date. When Ethan auditions for the school play, Stewart begins to wonder why people like Dean seem destined for fame, while others stay behind the scenes. Stewart wants Dean to stop flaunting his celebrity status, but when the brothers get into big trouble, Dean's fame could be their only ticket out. Thanksgiving takes a turn for the awkward when Dean's meddling brings a secret to light. Meanwhile, the truth behind his TV departure is revealed. Dean eats some humble pie when he films a cameo for a spinoff of his old show. Meanwhile, with Dean occupied, Stewart tries to connect with Ethan. 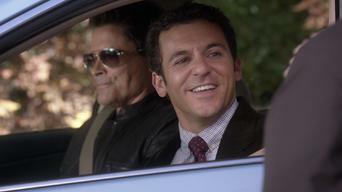 When Dean sees Claire kissing Timothy Olyphant, he tries to impress her with legal skills. Plus, a reporter's story on Stewart is derailed by Dean. Dean's feelings are hurt when Stewart and Deb tell him it's time for him to get his own place. Meanwhile, a rival firm tries to hire Dean away. After their fallout, Dean and Stewart face off in a divorce case. Meanwhile, Stewart and Debbie can see that Ethan and Lizzie miss their Uncle Dean. The return of Timothy Olyphant inspires a renewed rivalry between the brothers over who's the better lawyer. A head-to-head mock trial ensues. 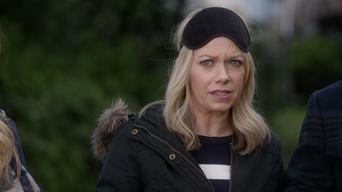 After Dean goes to therapy to help say goodbye to his "Grinder" persona, he begins "therapizing" Debbie, who now wants to quit her demanding job. Thinking himself a new man thanks to therapy, Dean encourages others to self-evaluate, much to Stewart's frustration. Is there a conspiracy against the firm? Stewart thinks so, but Dean, who has shed his "Grinder" persona, is busy being the office intern. Desperate for Dean's help in unraveling the conspiracy, Stewart must find a way to turn his disinterested brother back into "The Grinder." Has therapy changed Dean forever? Having lost his ability to grind, Dean takes on the case of the ransacked office in hopes of getting it back. 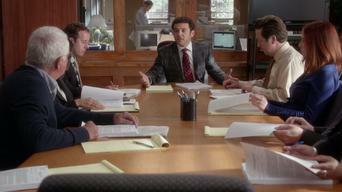 The firm does focus group testing to see what people think of their case. Soon the whole family wants feedback on how they're perceived. A visit from Dean and Stewart's mom puts Dean in a panic. Meanwhile, Stewart seeks reservations for a hot restaurant and Dean Sr. contemplates dating. 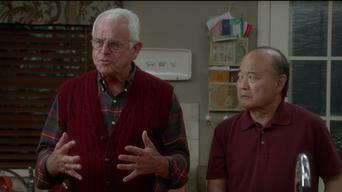 After learning new information about Dean Sr.'s case, Stew wants to settle but Dean insists on using one of his old "Grinder" tricks to win the case. 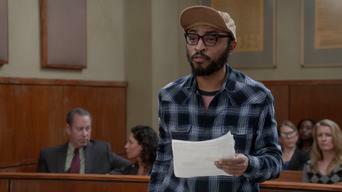 When Stew gets sidelined from his dad's trial, it's up to Dean to summon up some old "Grinder" magic and win their big day in court.